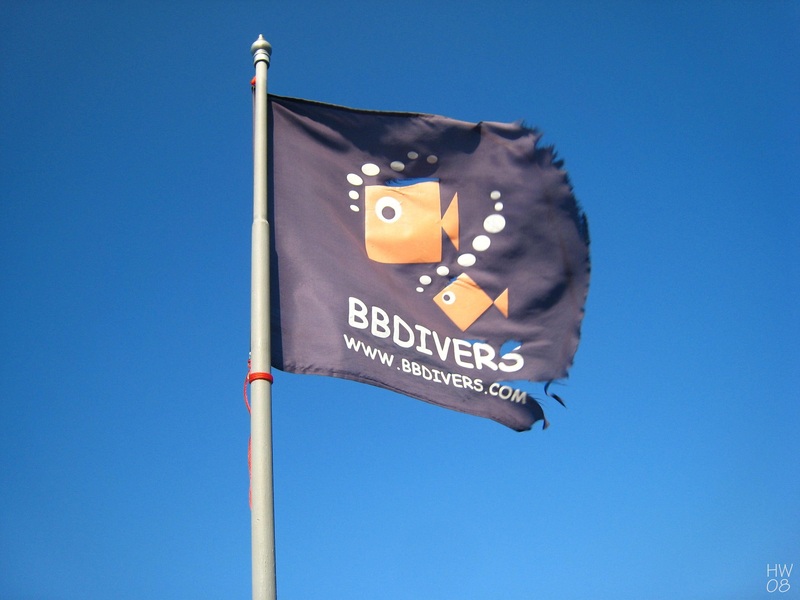 For information, booking or buying equipment you are welcome in our BB divers shops. The staff there know all about the dive, snorkel and freedive trips and will give you the correct information or answer your questions. They can explain more about the PADI courses we offer, or get you in touch with one of the diving instructors to explain the details. Most shops have a selection of equipment for diving, freediving and snorkeling. BB divers sells different brands as Scubapro, Subgear, Suunto, Intova, Deep Blue, Feel free, Beuchat, Mares... The shops close to a beach have snorkel equipment for rent. The main office in Bang Bao which is halfway down the pier gives you a stunning view of the bay. The original wooden Thai stilt house was nicely renovated and is the meeting point for the divers going on the boat in the morning. This is where we do the check in for the boattrips every morning. The shop on Bang bao pier has an open air classroom with great seaview. When the classroom is not in use we open this area to be used as coffeeshop to sit, relax and enjoy the view. Bang Bao 2 is our newest shop is in the beginning of the pier in Bang bao, next to 7/11 supermarket. You can book all our trips and courses, and we sell a great selection of bags, drybags, beachtoys, dive- and snorkel equipment. There is a small sandwich bar and coffeeshop here. Welcome to our BB divers swimming pool, lounge, restaurant, hostel and gym. In November 2006 we had outgrown our facilities so we decided to build our own BB divers swimming pool in Lonely Beach. 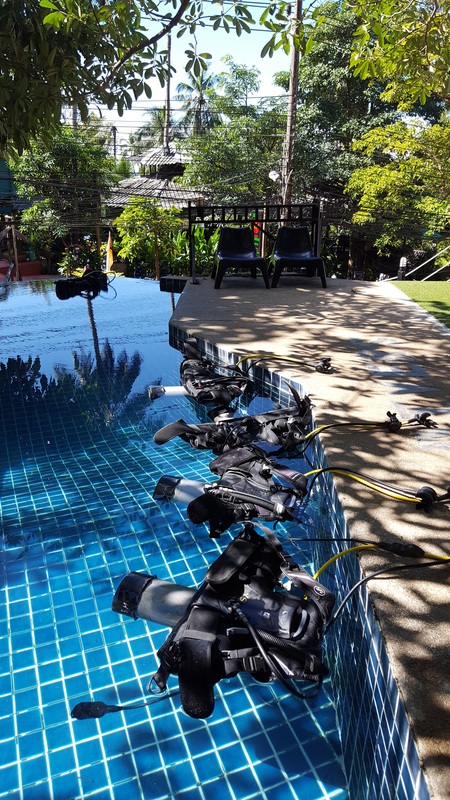 The pool was build according Padi standards to train the open water courses. But, it is not just a trainings pool, we have a cozy restaurant and there is a hostel at the same area. It is a great meeting place to chill out over a cool fruit shake, enjoy a chilled Belgian beer after the dive and catch up with the stories of the day. There is a very cozy lounge and restaurant with free wifi. BB Lonely Beach is serving breakfast, a large selection of Thai and western food, great tapas, spaghetti and sandwiches, not to forget an amazing selection of Belgian beers. It is a great place for cat lovers as well, we sort of became a catsanctuary to many cute local strays. The BB Lonely beach hostel has a few fan rooms and a dormitory for backpackers. The pool was originally built to accommodate our dive students and allow them to train in private. We use it for the diving course training but it is also used by the hostel guests to cool down and laze around. Many people like to take a dip after training in the BB Gym next door. The Gym is open every day for work out and yoga. Our dive shops in White Sand Beach are both located on the main road, north of White sands we have the shop in 15 Palms Resort, open in the daytime, further to the south you will find the shop in Lagoon resort, which is open afternoon and evening . We sell a variety of diving and snorkeling equipment, and of course you can get all the information on our boattrips, diving, snorkeling, freediving and PADI courses. BB Beach shop is on this beach since 2016, it is on the charming Klong kloi beach south of Koh Chang. There is a cozy bar serving drinks and food and a nice selection of Belgian beers. 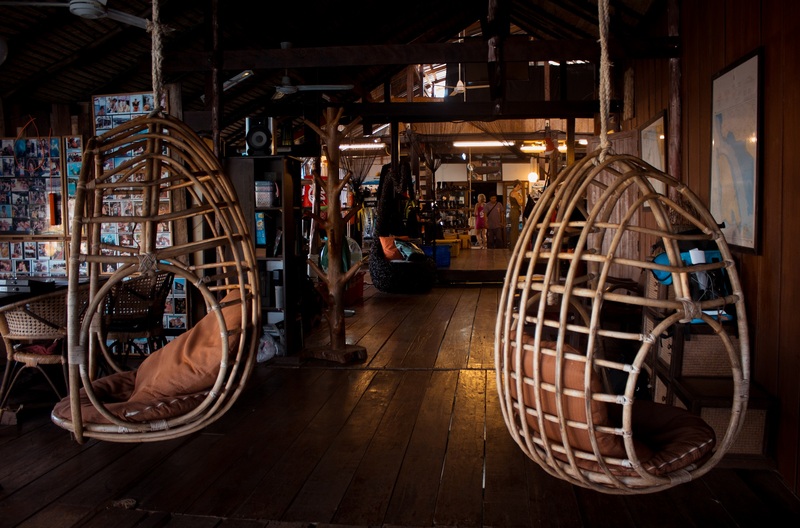 We use this beach shop to train the padi freediving courses and sometimes for dive training. In high season we offer some extra activities such as beach yoga and SUP yoga. In Bang Bao bay the shop is near the beach at the parking of Siam Beach Resort. Our boat leaves from the pier near the shop. 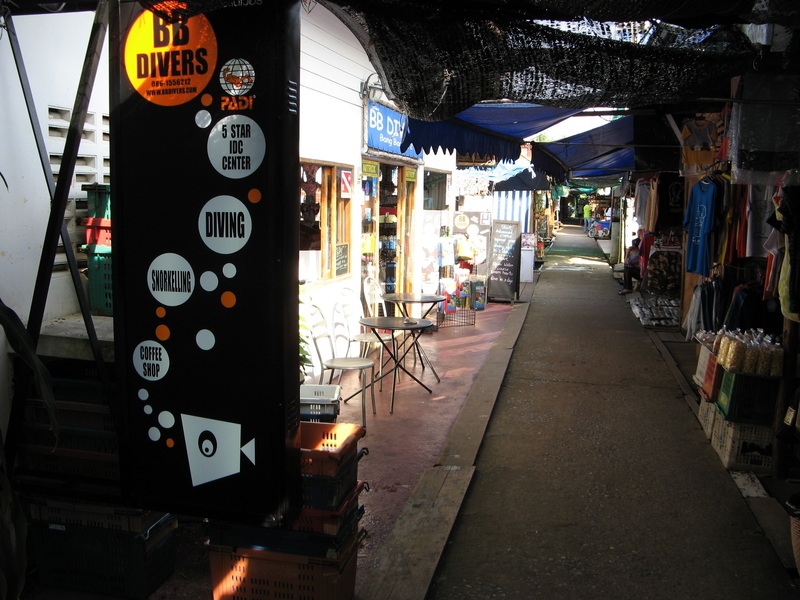 The divers and snorkelers meet in the shop here before going out on the daytrip. The dive students do the theory part of the Padi course here, after which we train the confined water training from the beach. We provide daily dive- and snorkeltrips, all padi courses and sell a nice selection of dive- and snorkel equipment. 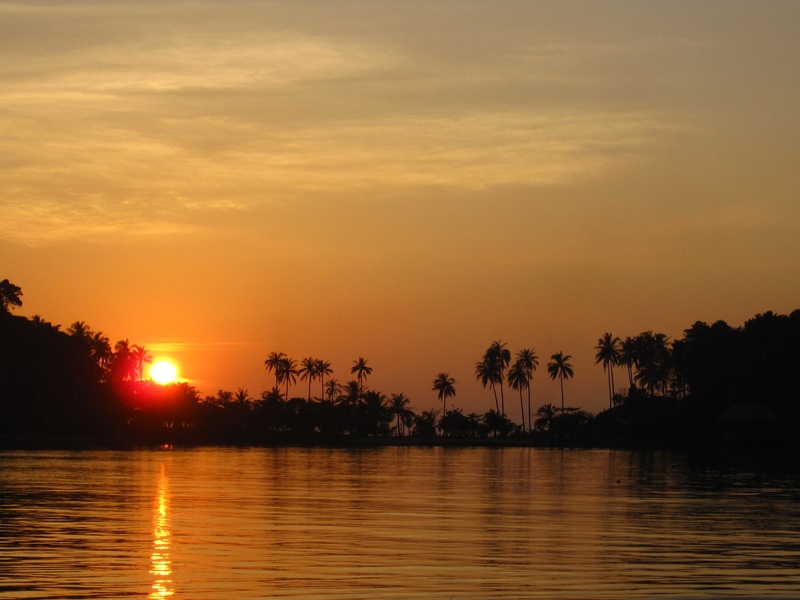 Our dive shop at Koh Mak opened in October 2013, we used to be in Monkey island resort but we have moved to Riverside resort. We provide daily dive- and snorkel trips, dive and snorkel equipment, there is a great selection of drybags, beach toys, beach wear,... The Bb shop in riverside also has snorkel equipment for rent. This BB shop is very close to the beach and pier of Koh Mak resort. Next to the shop we teach the Padi diving courses in a lovely classroom with seaview, ready to jump in once the theory is done. The Padi confined water training will be run of the beach there. We sell dive- and snorkeltrips, a nice selection of professional equipment and some beach toys. We offer snorkel equipment and Kayak for rent.